Northern Ireland head to Euro 2016 as Group F winners after securing the point they needed against Finland with a 1-1 draw. Michael O'Neill's men qualified for their first major finals since 1986 on Thursday with a win over Greece and any fears of a hangover following those celebrations in Belfast were banished as they produced a professional performance with Craig Cathcart heading home on 30 minutes. The visitors looked set for another fantastic away win in front of 2,000 travelling fans but Paulus Arajuuri equalised late on. The result means Northern Ireland finish the qualifying campaign on 23 points, one point clear of Romania in second place. In doing so they become the first fifth seeds in European qualifying history to finish top of the pile. O'Neill delivered a strong starting XI bolstered by the return of seven-goal top-scorer Kyle Lafferty and midfielder Chris Baird. It took an errant pass from Arajuuri to jolt Northern Ireland into action, Stuart Dallas picking up the loose ball on seven minutes and drilling a low shot too close to the goalkeeper. The Northern Ireland squad were given a rousing standing ovation on their return to their hotel led by Irish FA President Jim Shaw. 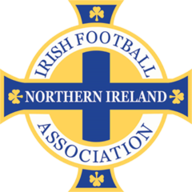 Lafferty failed to connect with an inviting Brunt pass across the six-yard line but Northern Ireland found a way through just after the half-hour. Brunt's corner was recycled on the right by McNair, who slipped Niall McGinn down the channel. The Aberdeen winger crossed to the near post and Cathcart, still forward from the set-piece, was in place to flash a header across Lukas Hradecky. Finland came out brightly after the break, Pohjanpalo finally asking some questions of the Northern Irish defence. He might have been rewarded with a goal after 50 minutes but his shot kept rising and disappeared on to the running track. Finland dropped their pace and O'Neill's side were seemingly comfortable. 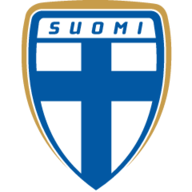 However, substitute Kasper Hamalainen cushioned a header for Arajuuri to stab past McGovern in the 87th minute, but it barely registered with the 2,200 buoyant Northern Irish fans who responded by toasting their heroes' imminent trip to France.